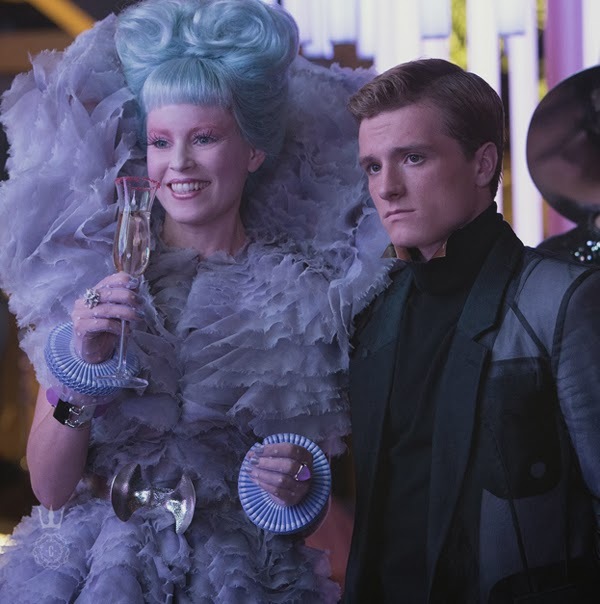 Hunger Games - Catching Fire! One, as a person who is always cold...I. Must. Have. This. Cowl! I have been scouring the web for it and come up empty:/ I am considering taking up knitting. This would be so cute, and warm over my coat. Want! Two, this is SO totally going to be my Halloween costume if I have a party to go to next year! I laughed every time Elizabeth Banks was on the screen. Her outfits were over the top AWESOME! Kudos to the costume designer on this movie...NAILED it! Okay, I get the rationale for making a sweater so that you can still take a shot with a bow and arrow...so Napwarden, how often do you practice your archery? As for the other outfit, I think it is ridiculous. Nice boots in the previous post though. Of course it's ridiculous...that's why it must be my Halloween costume! 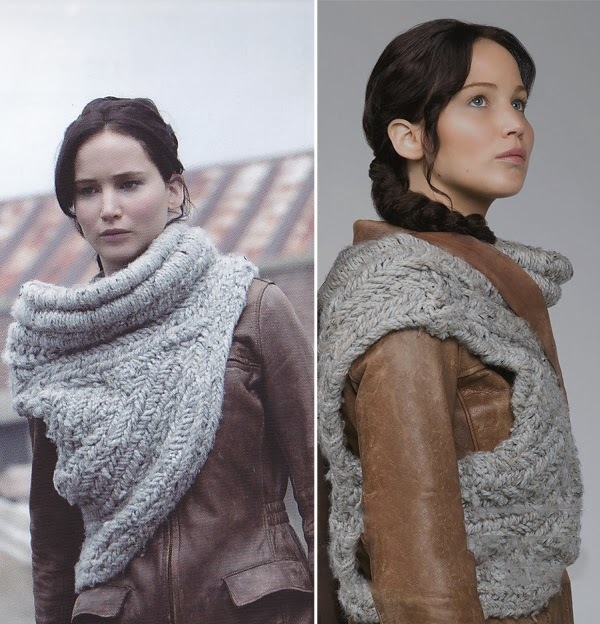 I loved Hunger Games too and totally agree on that cowl! If you find one, let me know! !